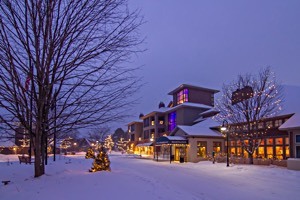 Below are the latest photos from the Crystal Mountain Resort Page On Facebook. Great season see you next year. Happy member of the 10:30 coffee ski group! It was a fantastic snow season! Bring on summer! We love you Crystal Mountain!! Enjoy floor-to-ceiling windows, spa-inspired bathrooms, a full kitchen and a sophisticated contemporary feel in this 2BR/2BA Inn Residence, located at the heart of Crystal. Multi-keyed entry allows for rental potential, even when using it yourself. Join us for the 36th annual Boy Scouts of America, Terre K. Lorenzen Memorial Golf Outing on May 8, 2019. Here are the latest photos of Crystal Mountain via instagram. If you have an instagram photo to share of your visit to Crystal Mountain, choose “Crystal Mountain” as your location and your photos will appear in the photo stream below.